Today’s Gospel focuses on St. Thomas who is significant to me for many reasons: My home church in Philly is St. Thomas. It is a very special St. Thomas, the first Episcopal Church formed by and for persons of African descent, dating from 1792. The African Episcopal Church of St. Thomas is one of the treasures of our Episcopal Church and Anglican Communion and I encourage you to visit it. 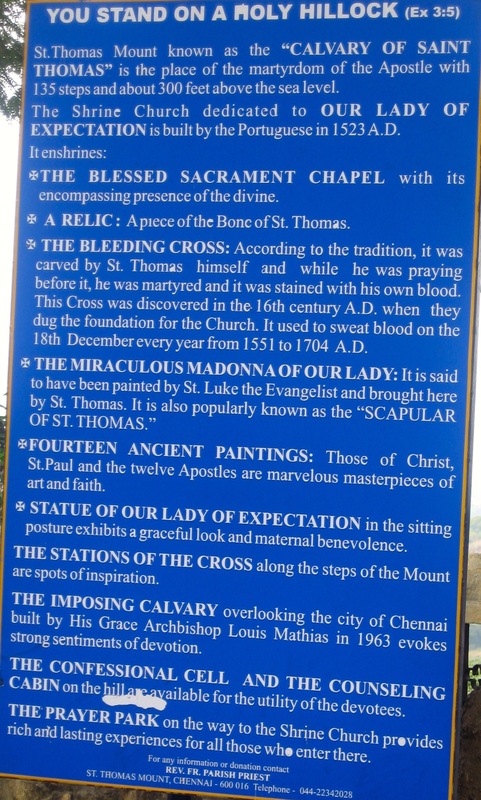 There are some other St. Thomas churches I think you should know about. The Mar Thoma Church is not a congregation but a denomination. It is a Syriac-speaking Orthodox Church – Syriac is a dialect of the Aramaic that Jesus spoke. 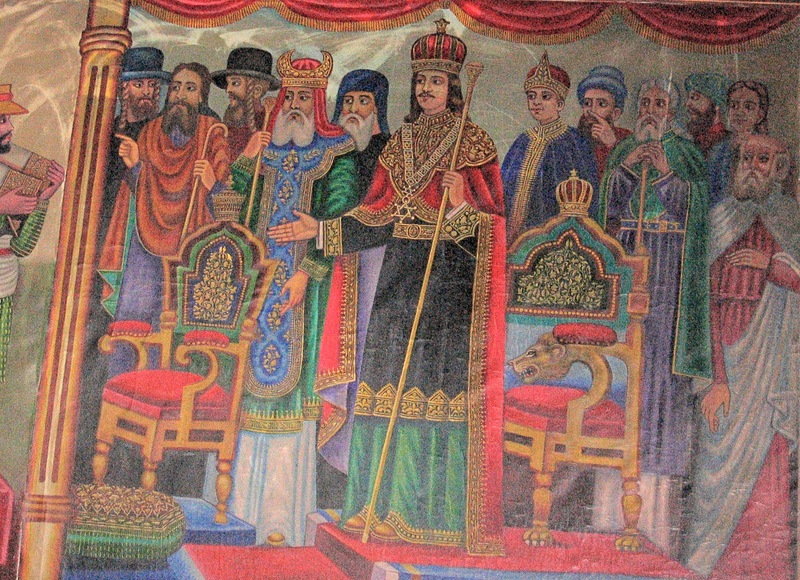 The Mar Thoma Churches were founded in India and spread across the world, including the United States, including Dallas, Carrolton and Mesquite. What is it about St. Thomas that inspired such devotion? And today he is the one who doubted Jesus was raised from the dead. And he did doubt, in spectacular fashion. I want to tell you that Thomas had good reason to doubt. He had seen folk crucified before. Beaten, tortured, bloodied, flesh hanging from their bodies in shreds, broken bones, strangling, suffocating, drowning in their own fluids. And this was Jesus. He had power like they had never seen before, and only heard of in the days Moses and Elijah. And these petty men, religious leaders that he could preach circles around and bureaucrats who had no power to make miracles, they caught him and convicted him and he didn’t defend himself. And that voice from the heavens didn’t speak on his behalf. And he died. He died with two no-count thieves. Jesus died and the next morning it wasn’t a horrible dream. He was still dead. And the next day too. The Church does not spend enough time sitting with the death of Jesus. It makes us uncomfortable. We rush to Easter – sometimes on Saturday, so we don’t have to deal with the spectacle of his death. 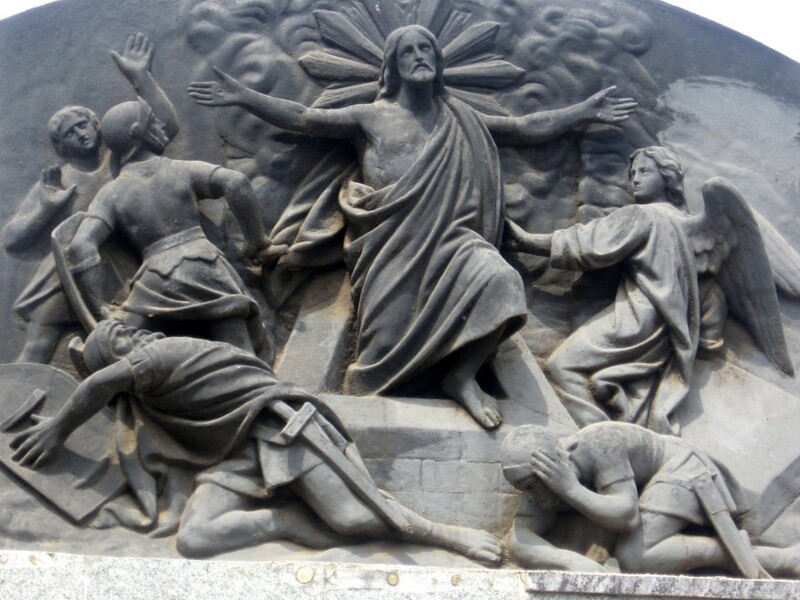 Jesus’ death was designed to be a spectacle, state- sponsored terrorism. But not just his. The whole point of crucifixion was to demonstrate what the Romans were capable and that it was useless, hopeless to defy them. Terrorists and thugs do the same thing. We see it in the horrific acts of the warlords who call themselves an Islamic State. We see it in the savagery of the Mexican crime syndicate Los Zetas. We’ve seen it among ourselves in the spectacle lynchings that took place in this country and in this very state where people brought their children and even had picnics, sometimes right after church. That’s why it is so traumatic for many of us see to black bodies lying in the street for hours, to see people posting photos of the massacred and martyred Kenyan university students. The spectacle of death, especially intentionally violent death to teach a lesson about power and dominance is traumatizing. Thomas was traumatized, grieving, dealing with the triumph of the Pax Romana. What the Romans called peace secured with the blood and death of anybody and everybody who got in their way or thought about getting in their way. Just like they did with Jesus. All he did was preach and teach and love and heal. It wasn’t much as revolutions go. But it was enough. And then it was over. But then the stories started. People said they saw Jesus. 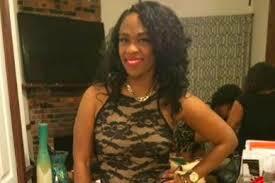 Women said they saw Jesus. The men he followed Jesus with said they saw Jesus. Every time someone said they saw Jesus, Thomas was conveniently not in the room. Now what were the odds of that? Thomas said, I need to see him for myself. I don’t blame him. I would have said the same thing. I believe Thomas needed to see Jesus. Not just for proof. But he needed to see his friend and teacher, the man who he had followed from town to town for the better part of three years. I imagine Thomas leaving his friends, shaking his head, hoping against hope wanting to believe. I imagine him going home, waiting to see if Jesus would meet him there. Waking up to the memory of that horribly violent death playing over and over again in his mind and those stories. People insisting that they had seen the Lord. Some said they had touched him. The days passed. The Gospel jumps to the next week. But I want to stay with Thomas, in his grief, and hope and yes, doubt, all mixed up together. A night and a day. And another. And another. Where did he go? What did he do? Did he ask his friends to tell their stories over and over again? Did he tell them to stop talking about it because he just couldn’t stand it? Eight days later – the NRSV rounds down for some reason – eight days later, had he given up? How many times had they all been together in that room, trying to figure out what to do next? Had he come to believe in the resurrection on his own? Perhaps, though that is not the story the text wants to tell. Eight days later and they are all there – who? The male disciples who did not go to the tomb with the women? Had they collected a larger group of disciples? Whoever they were, they were there. But only two mattered: Thomas and Jesus. Jesus came back, just to show himself to Thomas. Jesus came back for Thomas to strengthen his faith. He still does that by the way, though not necessarily in such dramatic fashion. But I won’t doubt you if you tell me you’ve had a spectacular vision or experience. Thomas has said what he needs, to see and touch Jesus, his hands and his side. I wonder if he thought they might try to pull a fake over on him. Jesus gives him what he needs, exactly what he asks for – but of course, he didn’t ask, he demanded. Even that is a lesson, we can tell God what we need. And God gets it. Jesus understands. Jesus tells Thomas that those of us who will not physically see or touch Jesus will receive a special blessing because he knows how hard it is. Jesus knows that it is hard to believe sometimes. And that’s all right. He doesn’t rebuke or chastise Thomas. He gives Thomas what he needs. Thomas ceased to be the doubter that day. The Western church still calls him that. But the Eastern church calls him apostle and seafarer. After Thomas saw Jesus and had his faith strengthened he took the story of Jesus’ resurrection to those who would not have the blessing of seeing and believing but could receive the blessing of believing through faith. And who better to teach about faith in what sounds like an impossibility but one who believed in Jesus, heard his teaching, saw him perform miracles, witnessed his death, doubted his resurrection and then saw and touched him alive after his gruesome death. 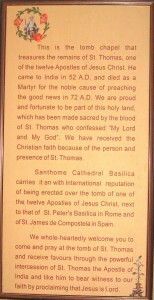 Thomas took this Gospel to India, where he founded the Church in India. In a few hundred years at least one Indian bishop from this lineage would be a signatory of our Nicene Creed. St. Thomas had what I like to call a reasonable doubt. But he moved past it when nearly everyone else was holding on to it. For the disciples of Jesus who believed in his resurrection were only a tiny fraction of the people in their towns and in the world. Most people believed what they had seen. Jesus had died. It would take some time and the work of the Holy Spirit to change that. Thomas went on his way telling the world-changing story of Jesus. The church he founded is our elder by more than a thousand years and we are in full communion. The story of Jesus remains so influential in India, in part because of St. Thomas, that Jesus is revered as a God among many Hindus who choose him to worship. There are more Hindus who worship Jesus in India than there are baptized Indian Christians. So many Hindus go to church that many congregations have enlarged their sanctuaries to accommodate them. That too is the legacy of Thomas, there is room for all in the church even if they do not believe in the same way as the one sitting next to them. 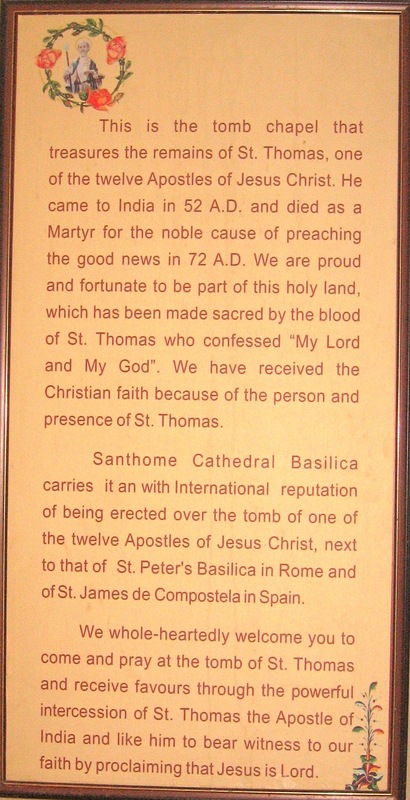 St. Thomas died in India around the year 72, and joins St. Peter in Rome and St. James in Spain as the only apostles with basilicas where they were buried. I had the great pleasure of visiting his basilica in Mylapore India where he is remembered not for his doubt, but for his faith. We are all of us so much more than our worst or even our most infamous moments. All of us have moments of doubt. But faith is stronger than doubt. May the Risen Christ meet you in your times of doubt and lead you to new places in faith that you might proclaim to those near and far that Jesus Christ has risen from the dead. In the Name of God who is Love, Jesus the Love that is stronger than death and the Holy Spirit who covers us and fills us with her Love. Amen. 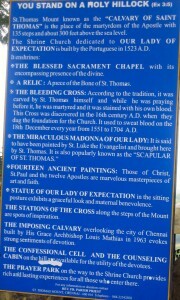 Photos from St. Thomas Hill, Mylepore, India. 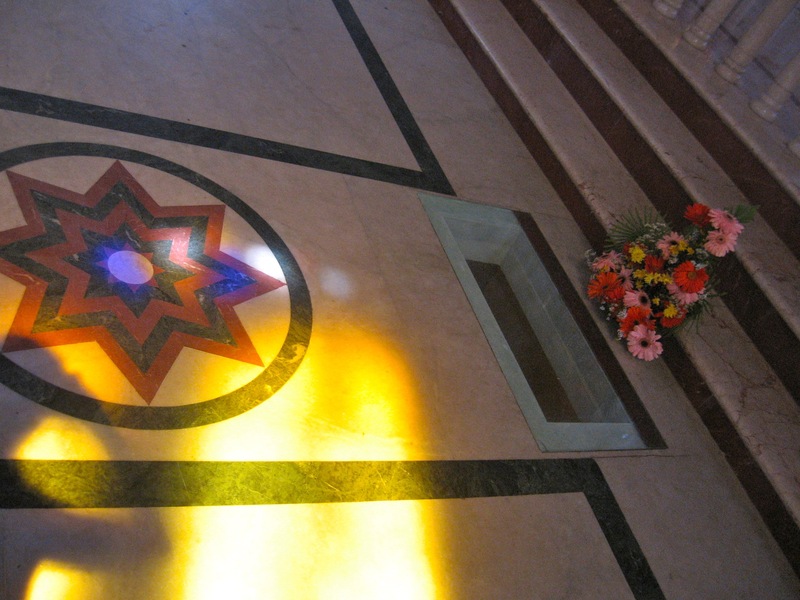 St. Thomas’s tomb is below the sanctuary floor and can be viewed through the glass on accessed on the lower level. I was concerned about what and how people would preach after the slaughter of the innocents in Newtown CT. 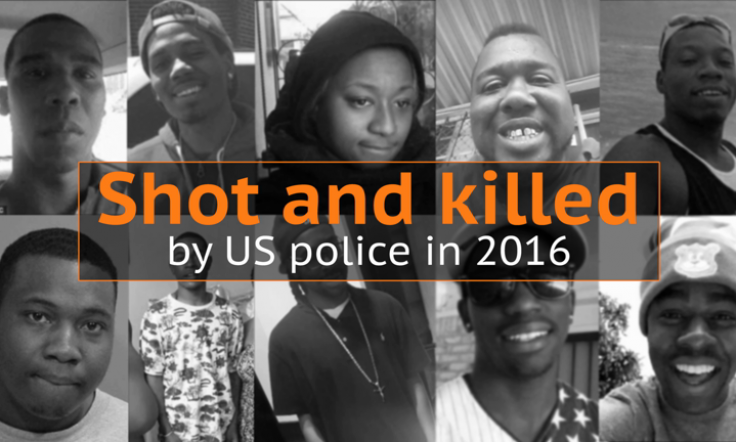 I started writing a blog post called A Word to Preachers and couldn’t finish it as I was wracked with grief and stunned into silence at the thought of those murdered children, lying in their own blood as police and medical examiners did their grisly work for as many hours as it took. I took the few coherent sentences I wrote, tweeted them and posted them on Facebook. Don’t you dare blame God or claim this was God’s will. 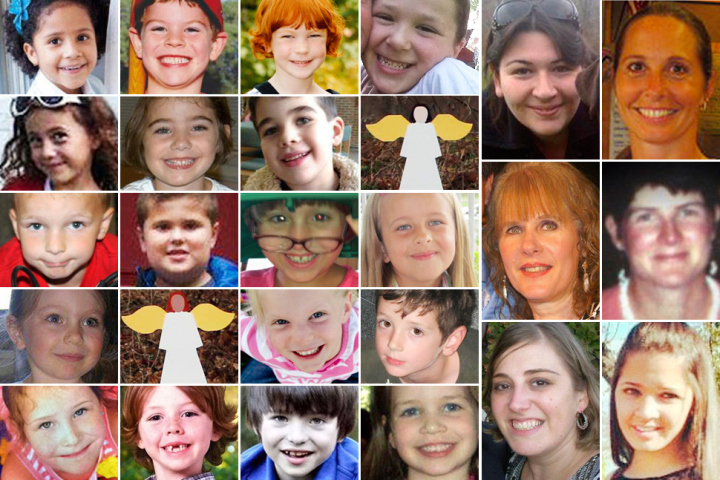 God did not want those babies (or adults) in heaven today, this way. If your theology is inadequate to make sense of human evil, the love and sovereignty of God say so. Don’t be afraid to say you don’t know what to say when you don’t know what to say. Sit down if you need to. Weep. Let the musicians minister – without words when no words can be found. Stand in integrity. Be honest. Acknowledge your pain. 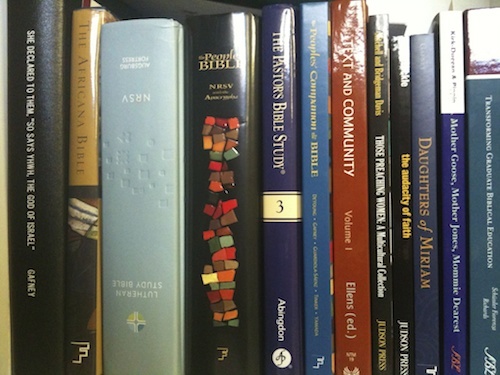 If you’re a lectionary preacher admit the “rejoicing” in the texts doesn’t fit. We’re in too much pain to rejoice. If you observe Rose Sunday perhaps the concern of a mother, the Virgin, for her Child is a starting place. For me Job is a resource. Cry to heaven, scream at God, even curse God. This is an Immanuel moment. God is with us. This is a sure promise. God was with the dying. God is with the grieving. 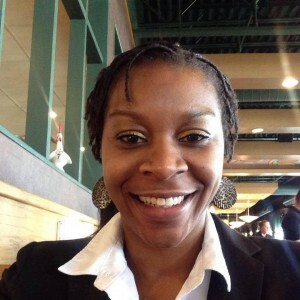 A clergy colleague in the blogging community RevGalBlogPals to which I belong, the Rev. Martha Spong asked me to help think and articulate what we should preach rather than what we should not preach. 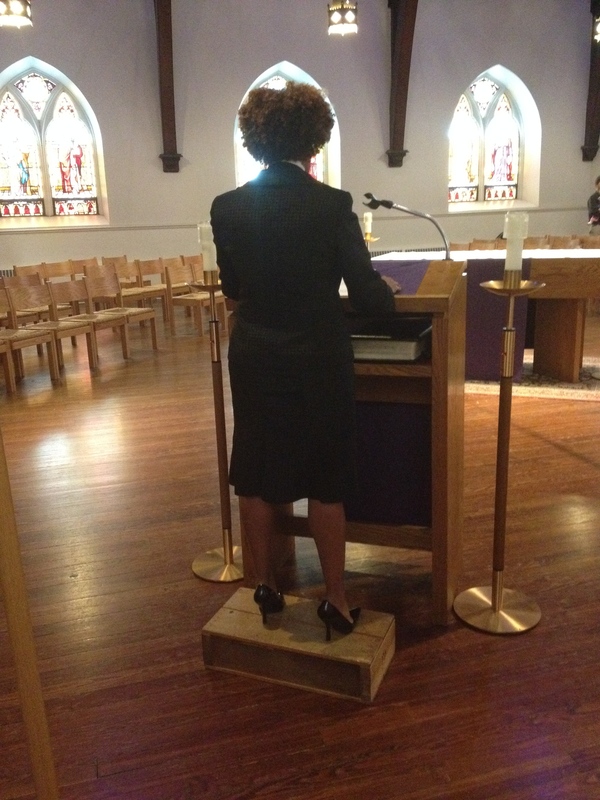 In consultation with the RevGals and two other online communities to which I belong, WomanPreach! 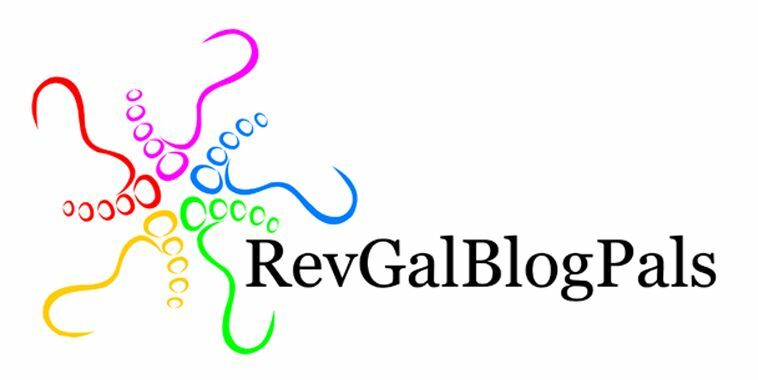 and Move And Shake (a private Facebook group for women in the academy) I came up with the hashtag #What2Preach and facilitated a conversation on Twitter, Facebook and the RevGal Preacher Party. Social media made it possible for me to hold multiple conversations with struggling clergy wresting with the lectionary texts, and those seeking a word and a text from God. For lectionary preachers the texts included: Zephaniah 3:14-30, “Sing aloud…Rejoice with all your heart…” Surely inappropriate and insensitive for many. Canticle 9 in the Episcopal Church, “Surely it is God who saves me” from Isaiah 12:2-6 – but so many perished. “Rejoice in the Lord always…!” The exhortation to rejoice seems so out of place. And then there was the gospel, “You brood of vipers…” Hardly comforting. I left that Tweet Chat encouraged by the priests and pastors I met there and grateful for the opportunity to use my gifts as a priest, preacher and seminary professor to respond to this atrocity in a meaningful way. The #What2Preach Twitter thread – captured as an image 12/18/2012. 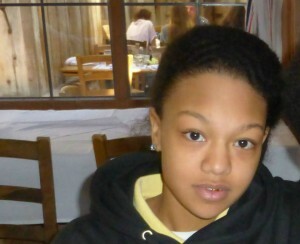 Entries continue to be posted since this image was captured – click to go to the Twitter feed. Click to download an interactive pdf.